As seen at Futaarayama shrine on New Year's Day. A wonderful watery Wednesday posting! 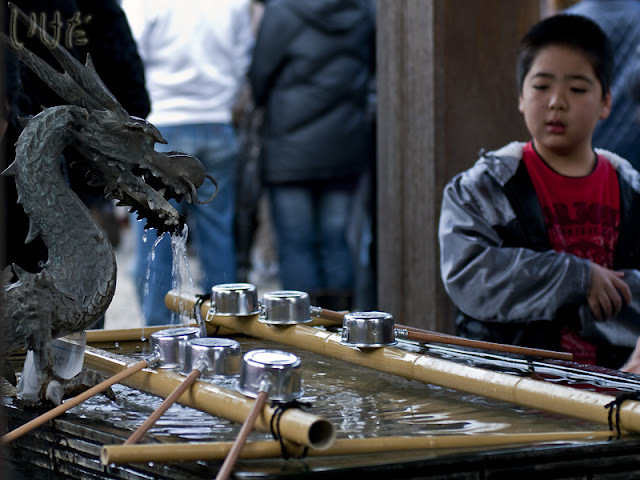 I remember well washing my hands at the temples in Gifu-ken when I was an English teacher there! Very neat water feature. Happy New Years!